Conceptual modelling is the process of abstracting a model from a real or proposed system into a conceptual model. An explicit conceptual model representation allows the model to be communicated and analysed by the stakeholders involved in a simulation project. A good representation that can be understood by all stakeholders is especially essential when the project involves different stakeholders. The three commonly used paradigms in business applications are discrete-event simulation, agent-based simulation, and system dynamics. While the conceptual model representations in discrete-event simulation and system dynamics have been dominated by process-flow and stock-and-flow diagrams, respectively, research into the conceptual model representation in agent-based simulation is relatively new. Many existing representation methods for agent-based simulation models are less friendly to business users. This chapter advocates the use of Business Process Model and Notation (BPMN) diagrams for the agent-based simulation conceptual model representation in the context of business applications. This chapter also demonstrates how the proposed BPMN representation and other methods such as Petri Nets, DEVS, and UML are used to represent the well-known SugarScape model. Conceptual modelling is the process of abstracting a model from a real or proposed system into a conceptual model (Robinson 2010). There is a point in a simulation project where the conceptual modelling process occurs inside an individual modeller’s mind. This ‘thinking’ process includes reflection on how to structure a problem and how the simulation model should be designed to help decision-makers solve the problem to hand, subject to certain constraints. At some point in the project, the conceptual model needs to be communicated to other stakeholders (users, domain experts, or other modellers). The importance of the quality of communication between stakeholders to make a simulation project successful makes the role of explicit conceptual model representation especially important (Robinson & Pidd 1998). In the context of business applications, the representation of a conceptual model describes the problem domain (e.g., modelling objectives and the structure of business processes) and the model specifications which define the model’s behaviour and enable the model’s execution on a simulation tool. Explicit representation allows the model to be communicated and analysed by the stakeholders involved in a simulation project. When communication involves different types of stakeholders, a good representation that can be understood by all stakeholders is essential. In cases where critical decisions are involved, the risk of producing a wrong model (which may lead to wrong decisions) due to ineffective representation is even higher. There are a number of modelling paradigms used in simulation. The three commonly used paradigms in business applications are discrete-event simulation (DES), agent-based simulation (ABS) and system dynamics (SD). 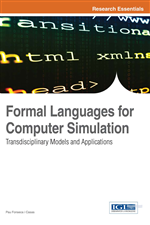 Two of the key differences among the three paradigms are the way simulation modellers view the world and how the view is represented in a model. Readers interested in the differences between the three paradigms should refer to Brailsford et al. (2010), Macal (2010), Morecroft and Robinson (2006) and Siebers et al. (2010). From the perspective of conceptual model representation, most DES tools use a variant of the process-flow diagram. Similarly, tools dedicated to SD mostly use a variant of the stock-and-flow diagram. This may suggest that process-flow and stock-and-flow diagrams have been accepted as de-facto conceptual model representations in DES and SD, respectively. ABS is relatively younger than DES and SD. ABS has become popular partly due to the availability of high quality micro-data, increases in computing power, and advances in analytical behaviour modelling. Hence, research into conceptual model representation in ABS is relatively new. Many existing methods used in ABS conceptual model representation are less friendly to business users who may not be familiar with software engineering or computer programming concepts. This is not surprising given ABS’s origin in Artificial Intelligence (North & Macal 2007). The objective of this chapter is to propose the use of Business Process Model and Notation (BPMN), a standard designed for business users, for ABS conceptual model representation. The remainder of this chapter will be organised as follows. Section 2 explains conceptual modelling in the context of ABS. It also presents an overview of the selected existing methods for conceptual model representation in ABS. Section 3 explains the proposed BPMN-based conceptual model representation. This includes the proposed BPMN pattern for ABS model representation. Finally, the concluding remarks are given in Section 4.